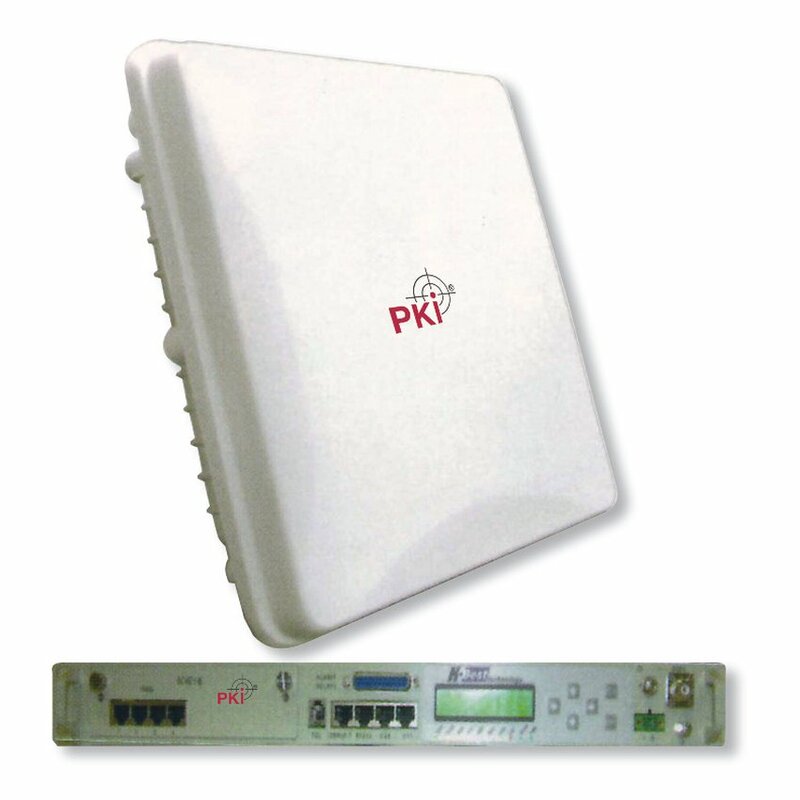 This system comprises one transmitting and one receiving unit at a frequency range of 10,5 GHz including parabolic antennas. It allows transmissions of audio, video and switch signals. At 10W output power a range of max. 50 km can be achieved. Should this be insufficient cascading is possible, i.e. to overcome larger obstacles (mountains, buildings etc.) or to get longer distances several radio systems can be switched in series.